The work of the R&I Platform is intended to create clarity concerning the socioeconomic conditions, benefits, and other effects associated with electric roads. We will investigate the benefits from the perspectives of various actors, implementation strategies, operation and maintenance standards, proposed regulatory systems, and factors conducive of the acceptance and development of international collaborative activities. The project commenced in the autumn of 2016 and will continue until December 2019. We will publicize the results of the R&I Platform work through information meetings, seminars, and an annual international conference. Reports will be published in the participating partners’ ordinary publication series and on www.electricroads.org. The project is financed by Strategic Vehicle Research and Innovation (FFI) and the Swedish Transport Administration. pantograph on top of the vehicle. 2) Conductive transfer via electrified rails in the roadway, with a pick-up beneath the vehicle. 3) Inductive transfer within the roadway, with energy transferred to the vehicle through magnetic fields. All these technologies have advantages and disadvantages, and to evaluate the suitability of any specific technology we must consider its intended field of application. We anticipate continued development of all these technologies. 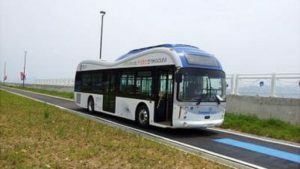 At present, short stretches of electric road exist, for instance, a bus service in South Korea using inductive technology. 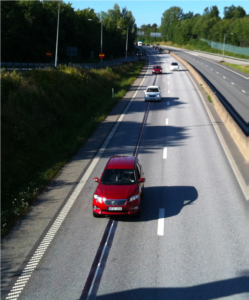 Sweden currently has three test tracks used in developing various types of conductive transfer via the roadway, at Arlanda Airport, at Volvo’s test facility, and in Lund. In addition, there are two demonstration electric roads, each comprising approximately 2 km of public road: one, near Sandviken, has overhead contact lines and was opened in June 2016; the other, at Arlanda Airport, will have electrified rails within the roadway and is to be opened in the autumn of 2017. 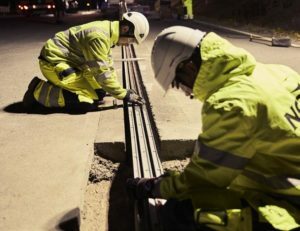 The R&I Platform is cooperating closely with these electric road projects and is also planning to cooperate with other projects financed by Vinnova and the Swedish Energy Agency. 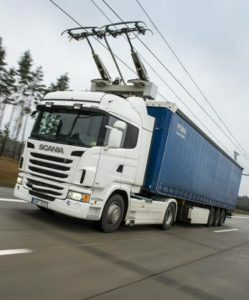 The Research and Innovation Platform for Electric Roads is funded by the Swedish Program for Strategic Vehicle Research and Innovation (FFI) and the Swedish Transport Administration. The purpose of the platform is to strengthen the Swedish and Nordic research and innovation resources by building a joint knowledge base in cooperation between institutes, universities, authorities, industry, and demonstration sites. Chalmers, KTH, the Norwegian Institute of Transport Economics, the Swedish National Road and Transport Research Institute (VTI), the Swedish Transport Administration, and RISE Viktoria conduct the research. Fortum, Profu, Scania, Vattenfall and Volvo Group are industry partners. Airport City Stockholm, Region Gävleborg, and Region Kalmar participate with their interest for future deployment. The project is managed and coordinated by RISE Viktoria. Viktoria, part of the RISE structure of institutes, is a non-profit IT research institute focused on automotive and transport informatics. The applied research carried out here, which is aimed at creating strategic benefits and research excellence, is divided into five areas: electromobility, cooperative systems, vehicle diagnostics, sustainable transport and open vehicle platforms. In sustainable transport, the focus is on sustainable solutions for transporting people and goods for urban, regional, national and global sustainable mobility. Chalmers University of Technology is located in Gothenburg and focuses on research and education in technology, natural science, architecture, maritime and other management areas. Fortum is an energy company focusing on the Nordic and Baltic countries, Poland and Russia. Fortum operates power plants, including co-generation plants, and generates and sells electricity, heat and steam. The company also provides other energy related services and products. KTH Royal Institute of Technology is Sweden’s largest technical research and learning institution, located in Stockholm. KTH is working with industry and society in the pursuit of sustainable solutions to issues such as climate change, future energy supply, urbanisation and quality of life for the rapidly-growing elderly population. We are addressing these with world leading, high-impact research and education in natural sciences and all branches of engineering, as well as in architecture, industrial management, urban planning, history and philosophy. Almost two-thirds of the SEK 4 billion turnover relates to research. 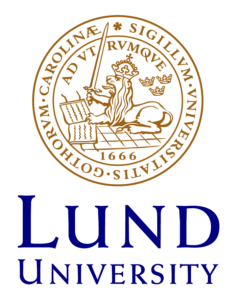 The Lund University Faculty of Engineering, LTH, has overall responsibility for education and research in engineering, architecture and industrial design. Their strategies are based on diversity and cross-boundary cooperation and are characterised by gender equality, participation, quality and renewal. They have a broad research base, including nanotechnology, combustion physics and medical technology. 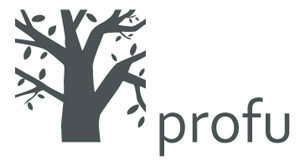 Profu is an independent research and consultant company in the areas of energy, environment and waste management. Clients include energy companies, waste companies, municipalities and authorities such as e.g. the Swedish Energy Agency and the Swedish Environmental Protection Agency. Region Gävleborg brings together the areas which contribute to regional development throughout the county of Gävleborg. Among the responsibilities are public health and health care, infrastructure and public transport, competence and training issues, business development, international affairs and culture. Regionförbundet i Kalmar län is publicly financed and owned by the county’s 12 municipalities and the county council. They offer networking, coordination and financial support to achieve objectives that benefit regional development. The target groups are the public sector, business sector, non-profit organizations and county residents. Scania CV AB manufactures, develops, sells, and delivers trucks and buses. The company offers trucks for distribution and community services; and buses for public transportation, as well as services, such as driver training, financing, and insurance. Swedish Electromobility Centre is a node for research and development of electric and hybrid vehicles and charging infrastructure. 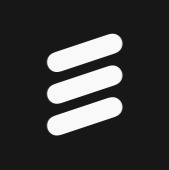 We unite Sweden’s e-mobility expertise and serve as a base for interaction between academia, industry and society. The Institute of Transport Economics is a national institution for transport research and development in Norway. The main objectives of the Institute are to carry out applied research on issues connected with transport and to promote the application of research results by advising the authorities, the transport industry and the public at large. Its sphere of activity includes most of the current major issues in road, rail, sea and air transport. Vattenfall is a Swedish power company, wholly owned by the Swedish government. 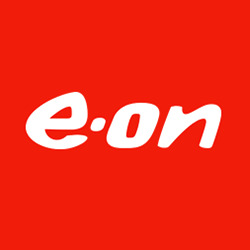 Beyond Sweden, the company generates power in Denmark, Finland, Germany, the Netherlands, Poland, and the United Kingdom. Vattenfall aims to be a leader in sustainable production, ensuring reliable and cost-efficient energy supply, and is committed to be climate neutral by 2050. The Swedish National Road and Transport Research Institute (VTI), is an independent and internationally prominent research institute in the transport sector. Their principal task is to conduct research and development related to infrastructure, traffic and transport. They contribute to the development of knowledge pertaining to the transport sector, and the attainment Swedish transport policy goals. Interested actors who wish to participate are kept updated as members of an extensive reference group. Alstom develops and markets systems, equipment and services for the transportation sector, including conductive charging solutions for electric vehicles. Bombardier in Sweden is focused on development and manufacturing of trains and railway equipment. Our Swedish railway history began in 1891, with the first Swedish electric locomotive. Since then, they have constructed, built and developed a wide range of innovative products – some tailored for Swedish conditions, some for export to railways all over the world. ELONROAD is a company based in Lund that is developing an electric road system. Their concept involves a conductive rail laid on top of the road, rather than overhead charging. ELONROAD will set up a test track for demonstrations in summer 2017. This project is a collaboration between Kraftringen, Volvo and Lund University (Lead partner) and is funded by the Swedish Energy Agency (Energimyndigheten). The National Electrical Safety Board is a Swedish administrative authority working under the Swedish Ministry of Industry, Employment and Communications. The authority has its head offices in Kristinehamn, Sweden and regional supervisory offices in Hässleholm, Kristinehamn, Stockholm och Umeå. Elways is developing a system that allows electric road vehicles to charge while driving, rather than having to stop and charge at a stationary location. This eliminates the present limitation of batteries and increases the range of electric vehicles. With the Elways solution, electric vehicles will operate more efficiently than current vehicles, both petrol and electric, as they will neither need to stop for charging nor stop to refuel. Elways has developed cost effective solutions for all critical issues to charge both light and heavy vehicles while driving. Thus far they have received approval for seventeen Swedish patents. Energiforsk is a research and knowledge-based company that operates and coordinates energy research. They have highly qualified specialists in the field of energy, as well as extensive experience in energy-related research and development by the companies and research organizations that now constitute the Energy Research Institute. Clients include industrial and energy companies, EU authorities, trade associations, and NGOs. Ernsts Express is southern Dallarna’s largest haulage company with 100 heavy-duty vehicles. They are based in Avesta. FKG is the trade association for the Scandinavian suppliers to the automotive industry. They have about 350 member companies which they help to develop as suppliers by actively working as the spokespeople to the industry, politicians, authorities and the media. NCC is one of the leading construction and property development companies in Northern Europe, with sales of SEK 62 billion and 16.500 employees 2016. With the Nordic region as its home market, NCC is active throughout the value chain – developing and building residential and commercial properties, and constructing industrial facilities and public buildings, roads, civil engineering structures and other types of infrastructure. NEVS was founded in 2012 and acquired the main assets of the Saab Automobile bankruptcy estates. PostNord offers communications and logistics solutions to, from and within the Nordic region, as well as mail delivery to private individuals and business in Sweden and Denmark. Siemens is the largest manufacturing and electronics company in Europe, offering a wide range of electrical engineering- and electronics-related products and services, including components of ERS infrastructure. SSAB is a global steel company, developing Advanced High-Strength Steels (AHSS) and Quenched & Tempered Steels (Q&T), strip, plate and tubular products, as well as construction solutions. SSAB’s steels and services help to make end products lighter and increase their strength and lifespan. SSAB’s production plants in Sweden, Finland and the US have an annual steel production capacity of 8.8 million tonnes. TRB Sweden AB is a trade organisation owned by a dozen major transportation and logistics companies around Sweden. TRB Network jointly operates more than 100 fuel stations with a strong focus on providing more renewable fuels to aid in the shift towards environmental and climate-friendly transport. With knowledge as its driving force, TRB focuses on fuels, the environment and road safety. 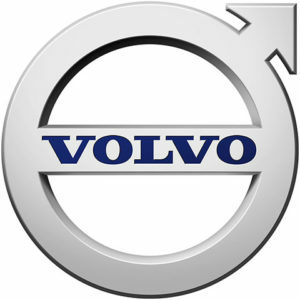 Volvo Cars manufactures and markets a wide range of personal vehicles. The company has approximately 2,300 local dealers from around 100 national sales companies worldwide, and is headquartered in Gothenburg, Sweden. 6. Business impact: Defining and analysing possible business ecosystems and evaluating their economic impact on individual actors in such systems.